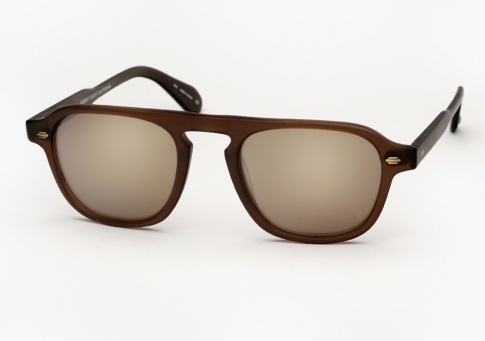 Garrett Leight Grayson - Matte Espresso w/ Matte Gold Mirror Need Help? The Grayson sports a distinctly shaped, higher-set keyhole bridge. Squared contours lend a stylized look for everyday wear. This frame works well for medium to larger size faces. It is offered here in "Matte Espresso" paired with matte gold mirror lenses.